We at Apktron are proud to bring you one of the most requested games on the scene. An Elite Warrior Ex is a classic 2D platforming adventure, in which you play as a knight on a quest to save a princess and defeat both an unjust king and the devil. 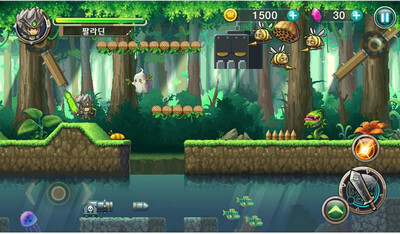 An Elite Warrior Ex is played by moving around rocks and avoiding traps using easy touch controls. Your job is to destroy all the devil minions all the way to the dark lord himself. Don't forget that the king is behind the evil plan to send the princesses to the devil, and send the knights after them in hope that they die and he can rule unchallenged. 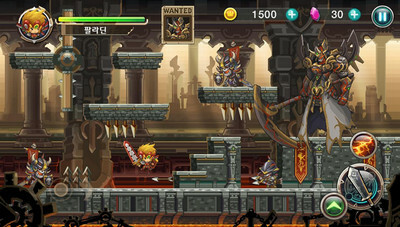 Defeat both the lord of darkness and the deceitful king, rescue the princesses, and be called an Elite Warrior!